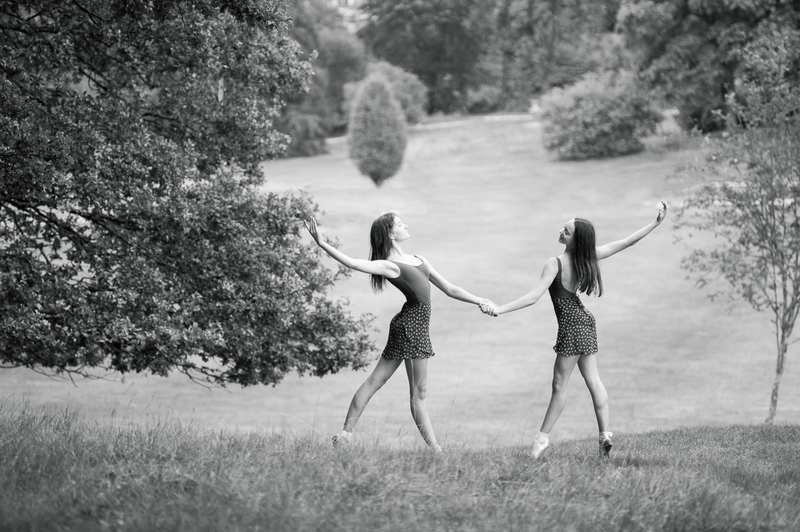 This Sunday I met up with Emilia Storck and Nadia Skoglund for a ballet photoshoot at Kungliga Djurgården. The weather forecast had been a bit uncertain, and there were some looming dark clouds in the sky, but eventually the sun peeked through as we headed out into the field. I had brought with me two lenses, the Sigma 35mm f/1.4 ART which would give us a wider field of view and the old manual focus Nikon 135mm f/2.8 AI that I only had used once before. Here is a selection of the photos from our photoshoot. 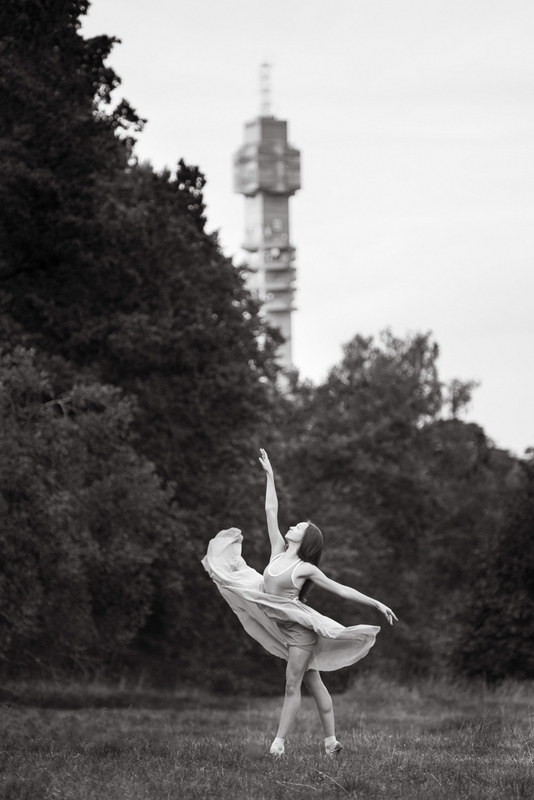 Nadia Skoglund on pointe, with Kaknästornet in the background. Nadia Skoglund. Just up the hill there was a big dead tree trunk which served as a great backdrop for a few photos. Shooting into the sun created this slightly hazy look. Emilia Storck. Here we were trying to mimic the branches with the pose. Emilia and her black labrador Troja. Emilia Storck with the broadcast tower Kaknästornet in the background. I like to include landmarks in the photos when possible, because it anchors the photo in a particular location. Nadia Skoglund. Here I have switched to the 135 mm, which meant that I had to be really far back in order to fit everything in the frame. The manual focus meant that we had to slow down, as I needed a few seconds to sort out the focus first. Camilla Storck and her daughter. Emilia Storck. Shielded by a few trees we found this park bench with great light. Nadia Skoglund. Not far from the bench was another spot with a patch of beautiful light. It started to rain as we were finishing up. Just as we got to the car the sun broke through the cloud cover again, the park basking in great golden light. It looked amazing, but it was time to leave. 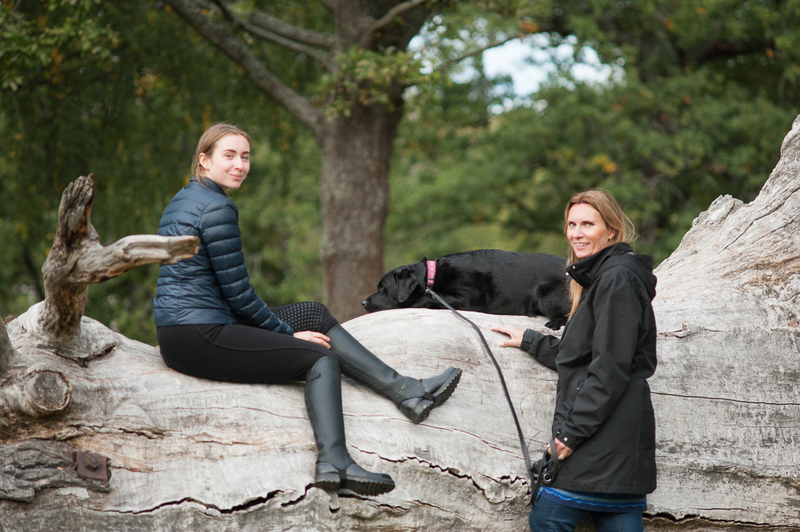 A big thank you to Emilia, Nadia, Camilla and Troja for a fun afternoon photoshoot! To see more ballet photos, check the ballet tag on the blog.